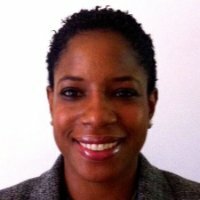 Shelley James | Econsult Solutions, Inc.
Shelley R. James is a Senior Executive at Henper Consulting, specializing in management consulting and strategic planning and development. Her leadership, communication and strategic partnership skills combined with executive ability have consistently enabled organizations to exceed their objectives, financial goals and measurable outcomes. She is an expert in aligning strategy with organizational visions and goals. She is a bar-admitted attorney with extensive regulatory, government relations and compliance experience in highly regulated industries, and is skilled at motivating and leading teams. Before this, she was assistant executive director for The Philadelphia Housing Authority (PHA), where she supervised the Authority’s senior management team, day-to day-operations, external consultants, external relations and board relations. Additionally, she served as the PHA’s first Chief of Staff, where she managed the office and activities of the agency’s executive director and served as a member of the agency’s leadership team, and as Director of Quality Assurance for the PHA. Ms. James is President and Sectional Conference Chair of the National Association of University Women-Suburban Philadelphia Branch and an alumnus of Operation Understanding. She holds a JD from the Beasley School of Law at Temple University and a Bachelor of Arts in Religious Studies with a focus in Biomedical Ethics from the University of Virginia.